Surprisingly the answer is often impossible to know for sure. For some filing a bankruptcy is the only way to save a house about to be sold next week. For others the answer depends on whether or not their creditors will eventually sue and seize their property. Others see the light at the end of the tunnel if they can just get a job or compel their creditors to agree to a debt negotiation plan. 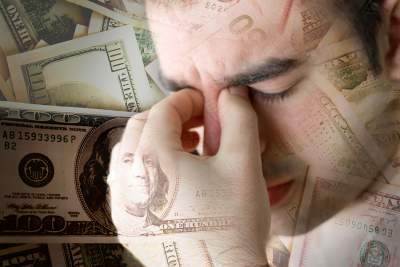 Whatever your situation this article discusses some guiding principles I share with all my clients weighing their options in deciding whether to file bankruptcy, pursue debt negotiation, or perhaps to explore other options. Do you anticipate being out of the financial hole in 3-5 years? If you can’t answer yes to that question then that is a long time to be in a hole and bankruptcy may be the best way out despite the consequences of filing. So what are the consequences you may ask? Well- a Chapter 7 bankruptcy will remain on your credit report for 10 years. That does NOT mean you can’t get credit for 10 years. In fact most of my bankruptcy clients can get an unsecured credit card with a $500 limit shortly after filing. (Capital One and Orchard Bank are known to give out cards to people just out of bankruptcy) Many clients say they never want a credit card again. Here is why you do- you need to rebuild your credit. People with bad credit pay more in car insurance rates and homeowner rates. Ultimately you must make the decision that is best for you. Often you have to weigh the likelihood of that new job/raise against the damage of falling further behind in your bills. If you have been borrowing from parents or your 401K then you owe it to yourself to sit down with a professional to find out your options and weigh the impact of a bankruptcy versus the path you are on. At Witt Law Firm we always offer a free no pressure consultation to discuss the pros and cons of bankruptcy, specifically for you. That personalized service is critical as bankruptcy is different for everyone and what your friend or neighbor told you may or may not apply to you.